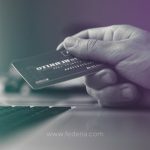 Only Fedena administrators and privileged employees (either the View Additional Reports privilege or the Finance Reports privilege must be provided) can view all three reports. How to access the reports? If you’ve been provided the View Additional Reports privilege, you can access the reports through the Reports module. The Batch wise Report displays the amount of fees paid and due for each fee particular, by all students of the selected batch. 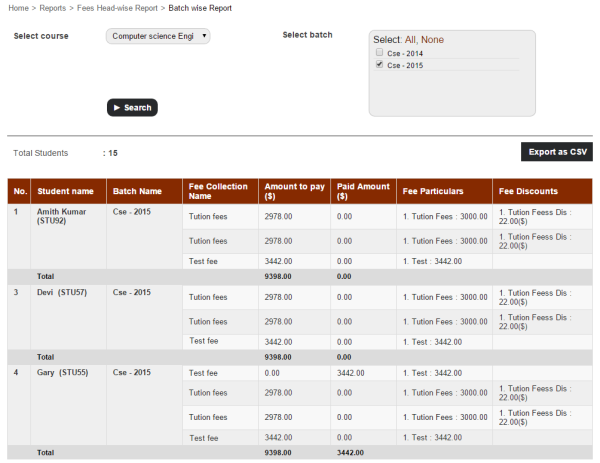 To view the report for a particular batch, select a course, and then select the batch and click Search. You can also export the report details as a CSV file. The Fee Collection wise Report displays the amount of fees paid and due for the selected fee collection, by all students of a batch. 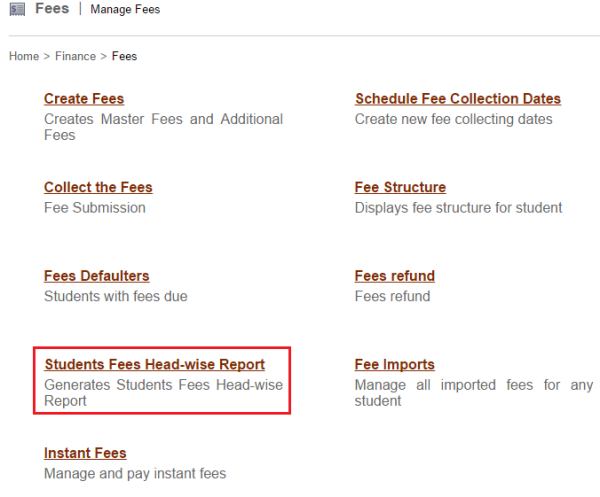 To view the report for a particular fee collection, select a batch, and then select the fee collection. The Students wise Report displays the amount of fees paid and due for each fee particular, by a particular student. To view the report for a particular student, enter the name or admission number to search. 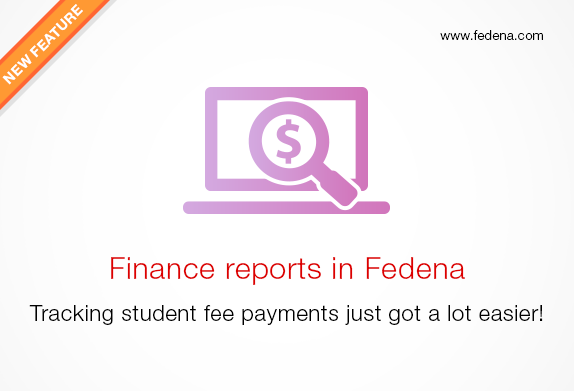 Now that you know how to use the student fee reports, use them to your advantage and track all student fee transactions with the institution and never let a penny slip through your fingers.